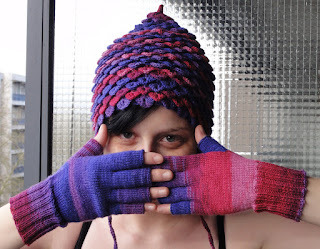 My daughter Anke was so in love with my pixie hats, she asked me to crochet one for her with earflaps. Since she is allergic to wool, i found some incredible yarn, Alize Diva Batik, which is 100% acrylic. It is made in Turkey, but fortunately you can buy it on etsy.com. It looks so cute on her! The mittens are knitted from a design i made. 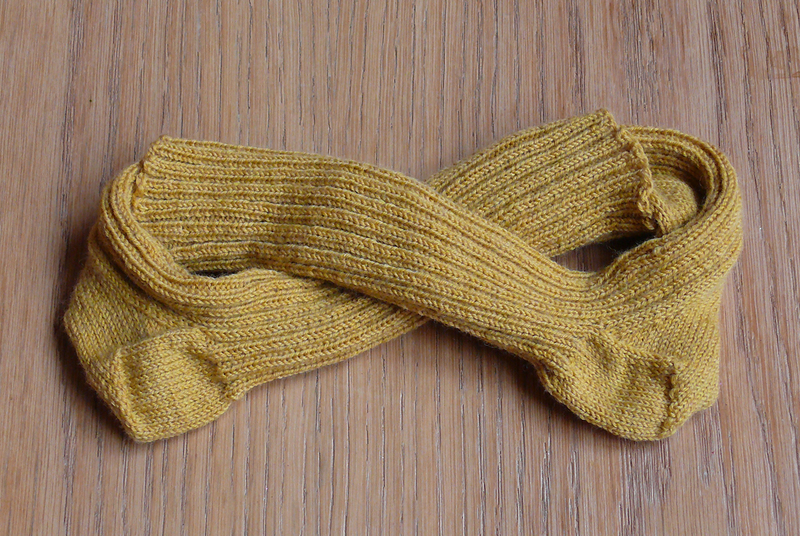 In the meanwhile i also knitted a pair of socks, the old yellow ones were completely worn to the thread!